Ready to retire? Itching to leave the janitorial industry? In desperate need of a cash infusion? Selling your company may be the solution. Whether you’re a BSC looking to sell today or one day long into the future, there are steps you’ll need to take to make your business more appealing to buyers. Cashing in isn’t a simple proposition. Only 20% of small businesses listed for sale are ever actually purchased, which means 4 out of 5 never find buyers. That’s a staggering statistic, and proof of why it’s so important to spend some time prepping your business before rushing to hang up a for-sale shingle. BSCs can make several mistakes when trying to sell their companies, including having poor financial records and showing declining sales, by far and away it’s their unrealistic expectations that ultimately ruin most deals. And more often than not, it’s the seller’s price tag that’s out of whack. When someone spends years building a business from the ground up, it’s easy to take its sale very personally. Unfortunately, in a free market a company is only worth what someone is willing to pay for it. While difficult, it’s imperative for sellers to rid themselves of emotional attachment to their business and take an objective view of its worth. By far, the most important step a BSC should take when preparing for sale is setting an appropriate price. This means determining the company’s actual value, not a future value based on potential for growth. Without correctly pricing the company, it will almost certainly remain on the market unsold for years until the owners either adjust the price tag, accept a lowball offer, or simply close their doors and liquidate. Perhaps the most effective way of setting a realistic price is to pay for a professional valuation of the business. Hiring a business broker with expertise in the janitorial industry can help a BSC set a fair price to get a fair-market-value offer in months rather than years. 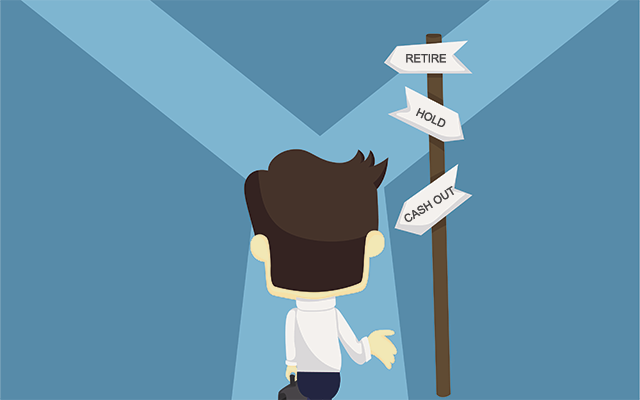 Not prepared to invest in a broker? Assessing your company’s value can be difficult because there is no exact formula to that is uniformly used by all buyers. That said, the average business ends up selling for about point 6 (.6) times its annual revenue. While that is a ballpark average, it isn’t how sale and asking price is normally arrived at. Rather, businesses with gross annual sales of less than $1 million are typically valued based on cash flow (also called seller’s discretionary earnings or SDE), and sell for 2.76 times SDE on average. To calculate SDE, take EBITDA (net earnings before interest, taxes, depreciation and amortization) and add back owner’s pay and benefits and non-recurring expenses. Most larger business are valued and sold on the basis of EBITDA, selling for between 3 to 5 times EBITDA on average. Depending on the economy, market conditions, the attractiveness of the business or industry, how much in savings the purchaser anticipates thanks to synergies, and a host of other issues, multiples can even be much higher. In the end, pricing a business for sale is more art than science, but having at least a fundamental understanding of common pricing assessments is a good start. Feeling defeated after calculating a potential sales price? If like many BSCs you’re disappointed to learn what your business is actually worth, take heart in knowing there are things you can do to improve its value. First and foremost, sell before profits begin to fall. A stable or growing business is always more attractive to buyers than one on the decline. Timing your sale is important. If possible, don’t wait until business is down to walk away. If your goal is to sell your company, do it during a time of year-over-year growth. Also important is keeping meticulous records. Buyers may look at financials before making an offer, and will definitely do so during due diligence. Muddy financial records, such as those that show no separation between the owner’s personal and business finances, can give the perception that the business is a risky proposition. Also, if records are inaccurate, incomplete, or completely missing, the buyer can use that as an excuse to drop their offer or walk away completely. It’s important to present a pretty picture of your company’s overall health beyond clean, detailed financials. You’ll want to show you run a well-oiled machine by preparing documentation for everything from building leases and employee policies to lists of vendors and clients. Finally, meet with your accountant and/or lawyer to make sure you understand the tax and other ramifications of a sale. These professionals can help you determine what type of sale makes the most sense for you financially and help guide you through the complicated process. Enlisting their help can save you during the due-diligence process where one of three deals falls through. 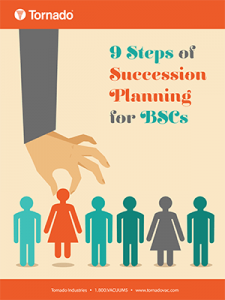 Selling a BSC isn’t as easy as throwing up a for-sale sign and then raking in the piles of cash. It takes planning, patience, and a basic understanding of the sales process. The prep work can be daunting and exhausting, but being deliberate about a sale is the best way to ensure you’ll get the highest return possible. Identifying and grooming future leadership is crucial to the success and longevity of any businesses. A company with a transition plan gives customers increased confidence and security when doing business with you. It also accomplishes the same for company associates, who make up the company, and in large part define it. A strong succession plan or just knowing it is in place (even if the details aren’t public) serves to reassure team members and associates, providing the stability needed to take care of customers.